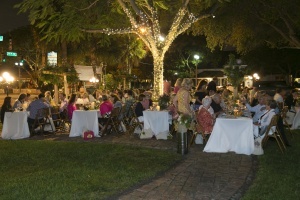 The Palm Beach County Farm Bureau partners with The Palm Beach Historical Society and the Delray Beach Historical Society to host the Outdoor Food and Wine Pairing Dinner. The Harvest Celebration features a five course meal consisting of all locally grown products. The event educates the community on the county’s deep agricultural history and encourages visitors to sample fresh local food prepared by well-known area chefs.